Many eyebrows were no doubt raised when Wolves were reported by the Mirror to be the frontrunners to sign Joao Felix from Benfica. Felix is regarded as one of the rising talents in Europe and has attracted clubs from across the continent, so the supporters are no doubt elated to hear this news. 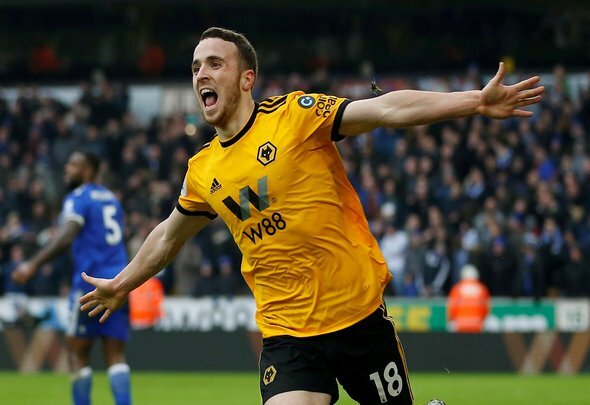 One player who will not be elated to hear this news, however, is Wolves ace Diogo Jota, who has had a good run of form recently. He has scored five goals in 20 Premier League appearances this season as well as providing two, but it is clear to see that his influence is having a real positive impact on the way that Wolves are playing at the moment. Nevertheless, the potential signing of Felix could derail Jota somewhat, and this will definitely be a cause for concern for the 22-year-old. Manager Nuno Espirito Santo will certainly want to include Felix as much as he could if he made the move to Molineux and this would seriously be bad news for Jota and his future at the club. Some may argue that the chances of securing a swoop for Felix are very slim considering the interest that he has elsewhere, but when agent Jorge Mendes is involved, anything could happen. Jota is a quality player whose versatility allows him to as a striker as well as on the wing, just like Felix can. So who would Nuno pick if the 19-year-old made the switch? This could cause a potential selection headache for the Wolves boss, but certainly not a welcome one in playmaker’s opinion. This report may lead fans to question whether the club actually need to sign the young ace, especially with the array of talent that the club has on offer already. Either way, Jota’s first team future is surely in doubt if this move does end up happening.